Triby is the smartest way to make your kitchen more fun, connected and keep in touch with your loved ones while getting your hands dirty during cooking, dish washing or having a meal. 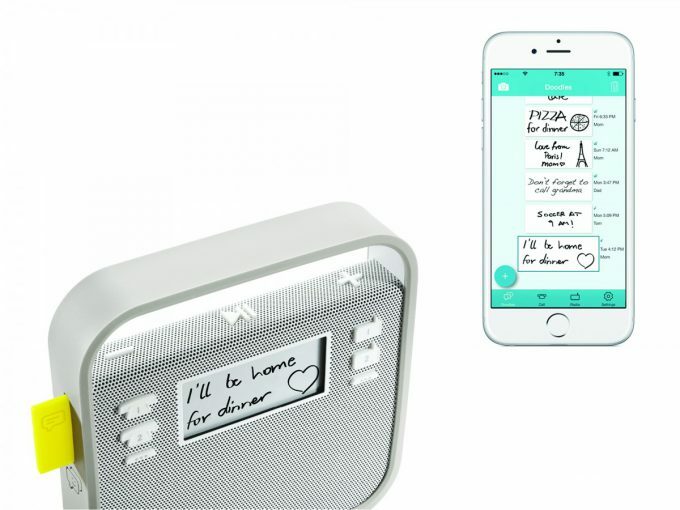 Invoxia a high-tech company specialised on the design, development and production of telecommunication products recently developed a device which is not aimed at your office but at your home. The french company is known for innovative VoIP SIP phones like the NVX 620 which integrate your smartphone in your conference unit and desktop phone. 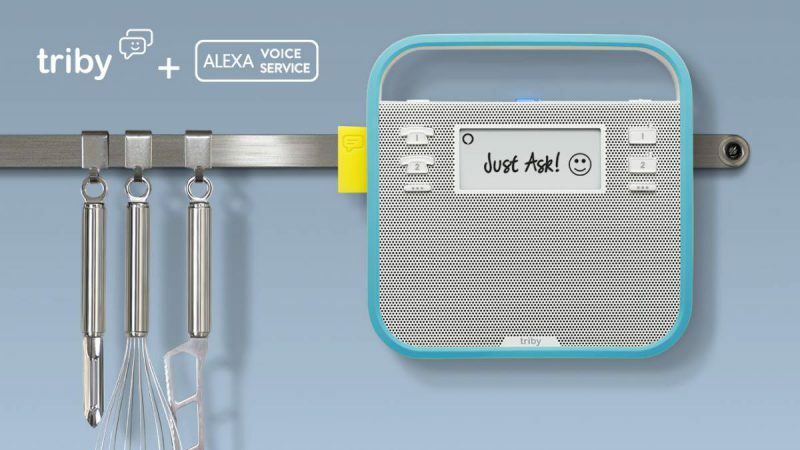 With the cool Voice Bridge the company already released a home product which enables you to use your landline for smartphone calls and to see who is calling at home from everywhere in the world. 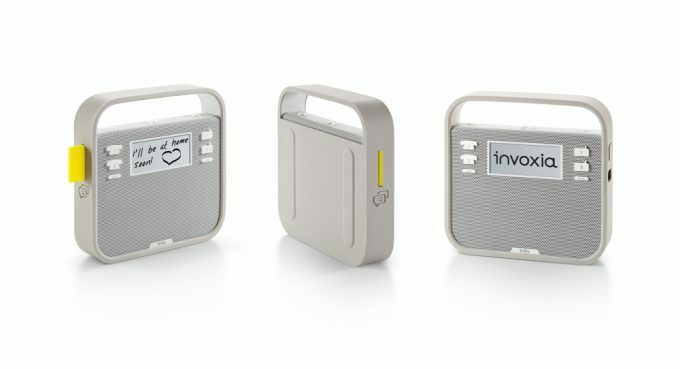 All products from Invoxia share their beautiful design, easy usability and highly sophisticated In Vivo acoustic technology. Triby now joins the product portfolio and it is instantly loveable! The little device is designed to stick to you fridge using magnets on its back to save space, comes with rugged design and a protective case which makes it easy to use even if your hands a dirty or wet. Basically Triby can be used in three different ways. 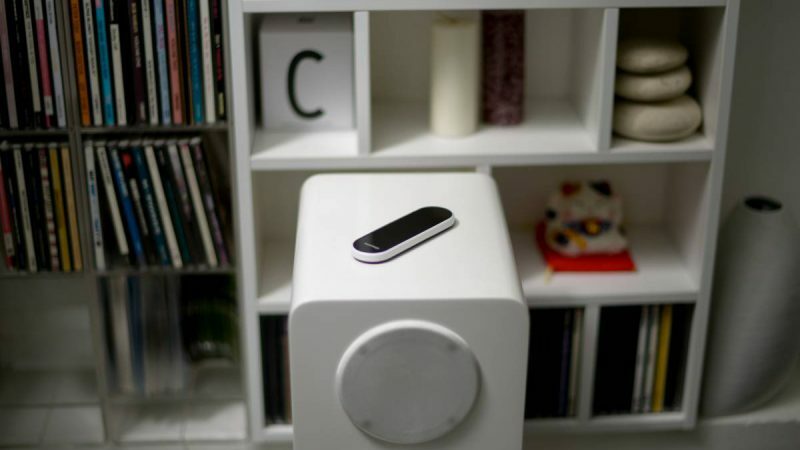 It is a wireless music system able to stream your favourite playlists and radio stations directly via spotify and playing music from your phone via Bluetooth. The sound is incredibly good for such a small device due to the In Vivo sound system using specially designed arrays of 6 speakers, driven by 3D algorithms which fill the complete room with sound. 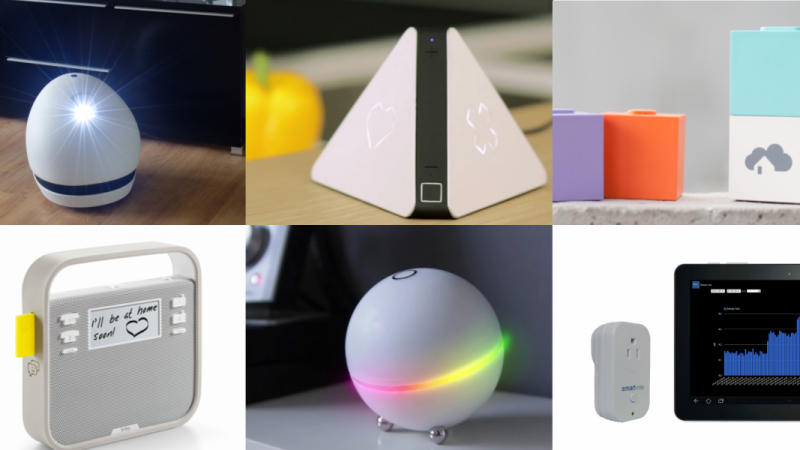 You can further use Triby as connected Post-It and send messages from your smartphone to your home from anywhere in the world. The messages which can include text or consist out of little drawings are displayed on an e-paper screen and a little yellow flag indicates that a new message has arrived. Using Triby for calls is so incredibly easy that even small children can handle it. 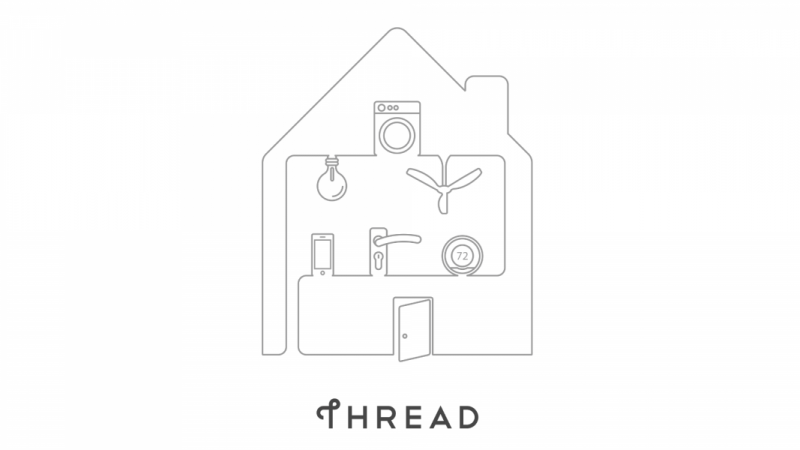 The buttons on the device can be configured in order to call important persons with just one click and the calls are made via WiFi connection for free so you don’t have to worry about chatting for an extended period of time or listening to your family while they are cooking. Via Bluetooth you’re also able to receive and make calls using your smartphone. The call functionality also profits from the In Vivo system as the 4 built-in microphones not only capture the acoustics of the room as a whole but also create a beam in the direction of the speaker, thereby eliminating all superfluous sounds and background noise. This works perfectly even if you are 5 meters away from Triby. 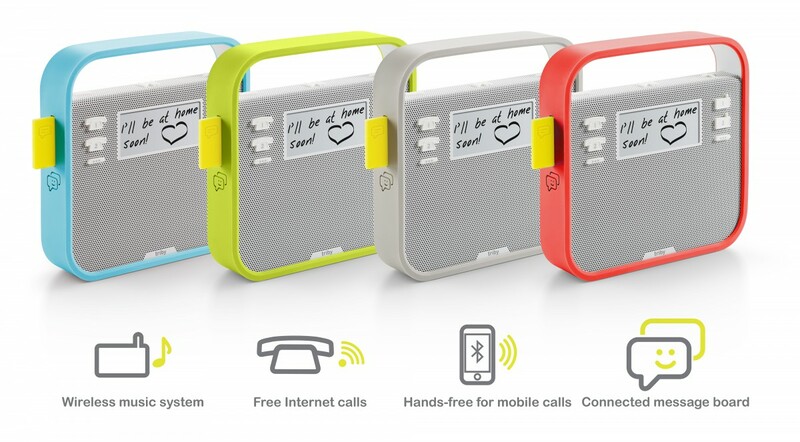 You can currently pre-order Triby via Invoxia or on Amazon Launchpad for €199. The delivery is scheduled for the end of October. Get an impression of how thevsmart gadget works in the video below.